Matthieu Laggarigue is from the south of France, an area renowned for its beauty and culture. It is here that Matthieu has spent the last 15 years as a Pastry Ch ef. 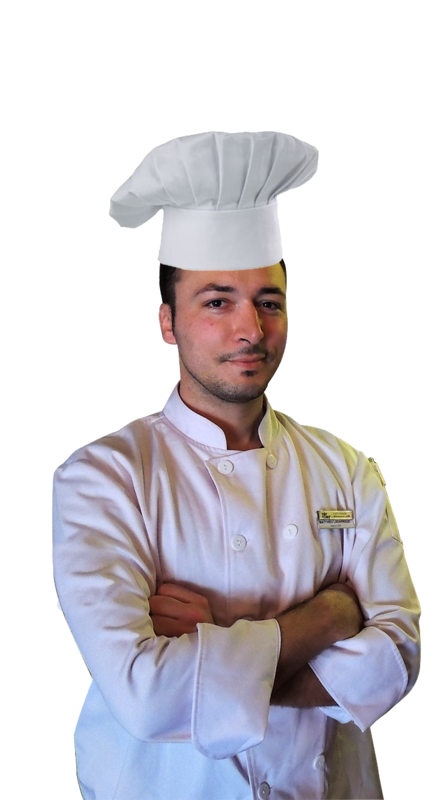 Mathieu is a highly decorated chef, having been the recipient of five French certificates, namely, a Certificate of Qualification in Pastry, a Certificate of Qualification in Bakery, a Certificate of Qualification in Artistic Sugar, a Certificate of Qualification in French Bread Tradition and Viennoiseries and a Certificate of Qualification in Food and Hygiene. His first position as a pastry chef was at Trezeguer Max in Lavignac, France where he created intricate chocolate pastries and other sweets. After seven years, Mathieu opened his own bakery, Pain Jole, with enough success to open multiple locations. In 2015, Matthieu sold his company and moved to Hanoi, Vietnam to begin his career. In his free time, Matthieu is an avid backpacker, having backpacked across Europe, Southeast Asia, and Mexico. These experiences have allowed him to not only experience different cultures, but also collect recipes from around the world. Matthieu was motivated to move to Vietnam to provide his wife, who is Vietnamese, a chance to reconnect with her native culture. Top Chef invites you to come by to meet Matthieu and try his fresh baked pastries.